CATBALOGAN CITY, Samar, January 28 (PIA) –-The National Statistics Office (NSO)- Samar needs some 45 manual processors for the Registry System for Basic Sectors in Agriculture (RSBSA), a registration activity of the Department of Budget and Management (DBM) on the compilation of basic information on farmers, farm laborers and fishermen. This is according to Letecia Chu of the NSO-Samar in a press release. Farmers, farm laborers and fishermen are the target beneficiaries of agriculture related programs and services which is on going. To qualify, applicants must be not more than 35 years old, college graduate, physically fit to work, willing to be trained, not pregnant and preferably RSBSA field interviewer or previously employed as NSO manual processor. Interested applicants may visit the NSO Provincial Office, Samar Branch, Catbalogan City and should bring a filled up Personal Data Sheet. The office will open on Saturday, January 28, and Sunday , January 29 to accommodate the applicants. 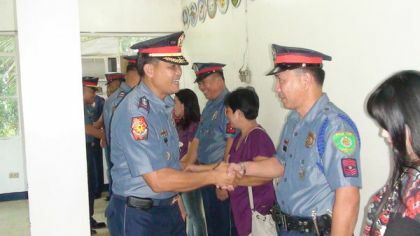 The applicants will take an examination on February 1 and February 2, 2012, at the NSO field office.